We are fortunate to have a beautiful video of the joint Kabbalat Service with Temple Beth Zion on April 16, 2010. 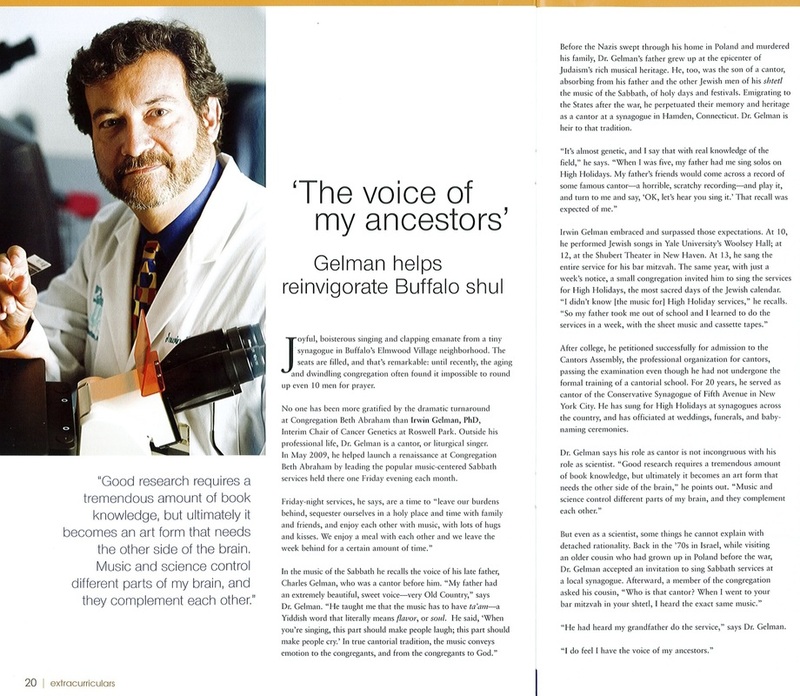 "The Voice of My Ancestors"
Cantor Gelman is featured in this article in the Fall 2009 issue of the Roswell Park Cancer Institute Alumni News. In it he discusses his personal history as a Cantor and his music centered Kabbalat Shabbat services at Congregation Beth Abraham. Click on the picture below to read the full article. Click to read "Elmwood Shul Seeking New Worshippers"